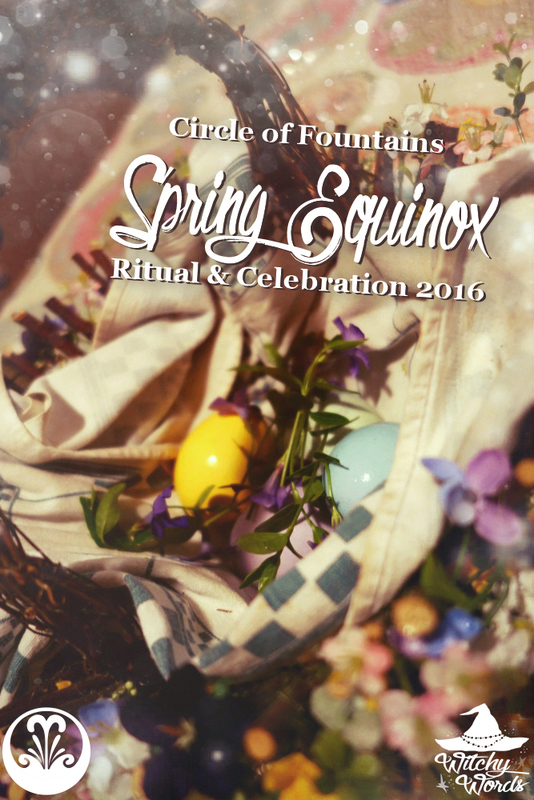 To see the Circle of Fountains 2015 Spring Equinox ritual, click here! Circle of Fountains now has a Facebook page! Click here to check it out! Kolika identifies her religion as Wiccan, and so her rituals tend to lean towards Wiccan themes. The beauty of Cricle of Fountains is that we have such a wide variety of belief systems in our members. The sabbats give us an opportunity to explore and celebrate those differences! Celebrations began with using crayons to decorate hard boiled eggs with symbols and sigils for certain goals. Once the eggs were decorated, we dipped them into environmentally friendly, all natural dyes! These were then placed in a basket for later. Say hello to our huge potluck buffet, including everything from ham and chicken to various lavender-flavored items, like potatoes, marshmallows and tart. The circle really brought a feast! And we ate it all on adorably-decorated bunny-themed plates and napkins. It doesn't get much better than that. 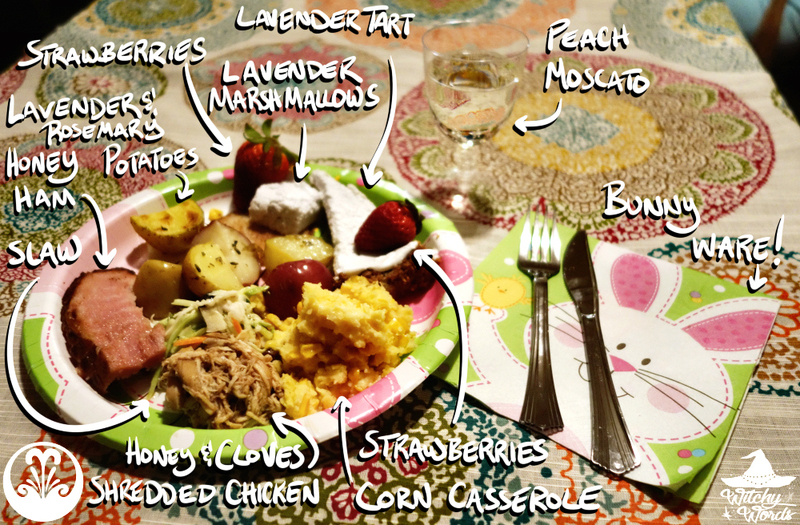 We even had a peach moscato to bring it all together. Mandatory group dinner photo, including Kolika's "Happy Spring!" banner in the back! Our Ostara was held a week early, right after Daylight Savings Time. How I dislike DST. The sun had been staying around past 7 pm but now, of course, it's setting much earlier. Our equinox ritual was held in the dark. It was still an immense amount of fun. Hopefully the pictures show that! Before we begin, I want to give my husband a huge shout out for both taking most of the pictures and managing the fire. He's incredible. I did take a few pictures while he worked the flames, but he still did most of everything. I don't know how he does it! I digress. We began with a short introduction followed by the lighting of the quarters. Of course, we brought back my fabulous, perfectly-colored tiki torches for that! In ritual, we talked about it being equal lengths night and day, that from here on out the light would prevail. 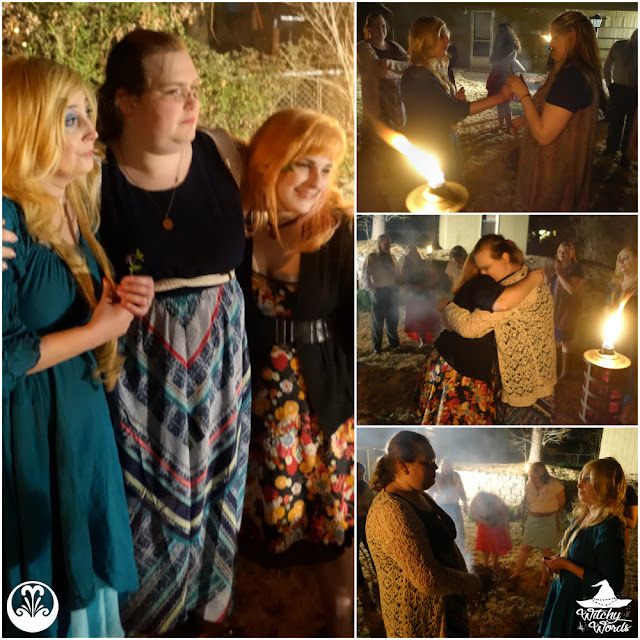 In this, we found a joyous celebration full of light and happiness, which was perfectly mirrored by the fact that our ritual was in the dark. We began by passing around homemade lavender marshmallows as a way of treating ourselves after the lengthy darkness of winter. Kolika had us explain why we deserved to be treated and emphasized that we all deserved to be treated. Answers ranged from learning to love again to health problems. Mine was short and simple: I deserve this because I had to move twice in 30 days and I'm still recuperating! The next part of our ritual involved taking the eggs we drew on and dyed from earlier and, similar to last year, throwing them into the fire. As they popped, those hopes and dreams written on the eggs came true. To be honest, the pops were more like agonizing screams. I'm pretty sure we tortured the eggs for our wishes. One legitimately sounded like an old camera powering up to take a photo. The occasional screaming got a good laugh out of everyone. While we waited for all the eggs to pop, Kolika sang a rendition of Oh Honey's "Be Okay." Once the song was complete, Kolika passed around a basket with gorgeous periwinkles inside. Once each person had a flower, we were asked to give it to our neighboring circlemate and tell them something we love about them. This ended in a lot of hugging and happy tears, as explanations ranged from "you became and are my sister," to "I appreciate you for everything that you are and everything you can become." It was an amazing moment as a group! With that being the last part of the ritual, we closed the circle, but the activities weren't quite over yet! You see, Kolika's birthday is on March 8th and I'd ran across the most amazing natural egg confetti bombs. No, I'm not kidding. Yes, the results were hilarious. I'm still finding confetti in my house, even though the whole thing was done outside. 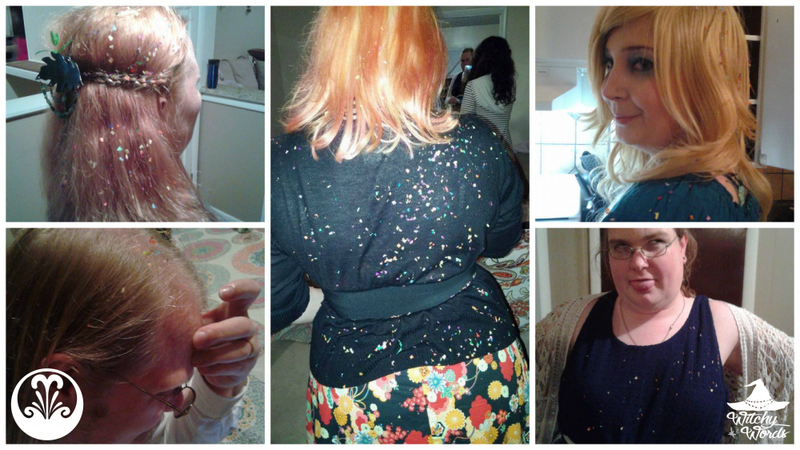 Actually, several circlemates have sent me pictures of confetti in their houses as recent as yesterday. It's the Ostara gift that keeps on giving! 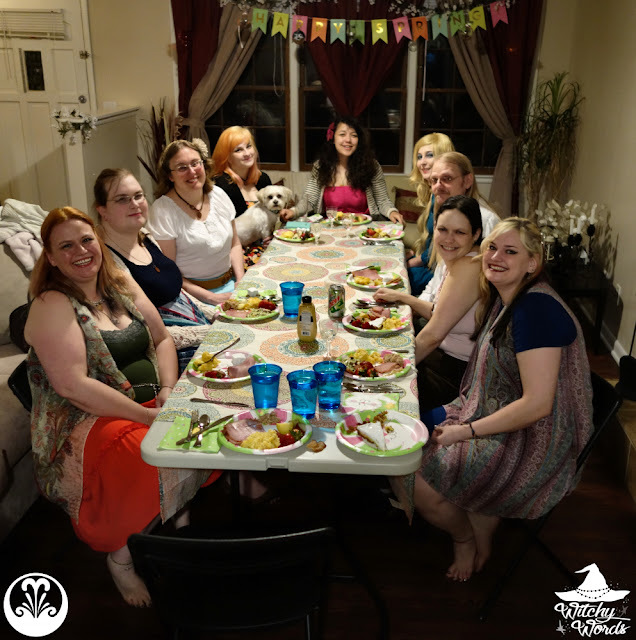 After some chatting and event arranging (some of us are looking for some fresh ink, others are having surgery and want support, and so forth), our event was complete! From Circle of Fountains to your family, we hope you have a fantastic equinox! 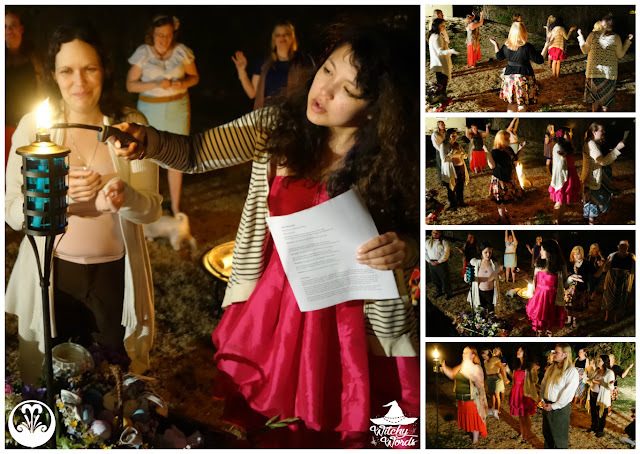 To see the previous Circle of Fountains sabbat ritual, Imbolc, click here! 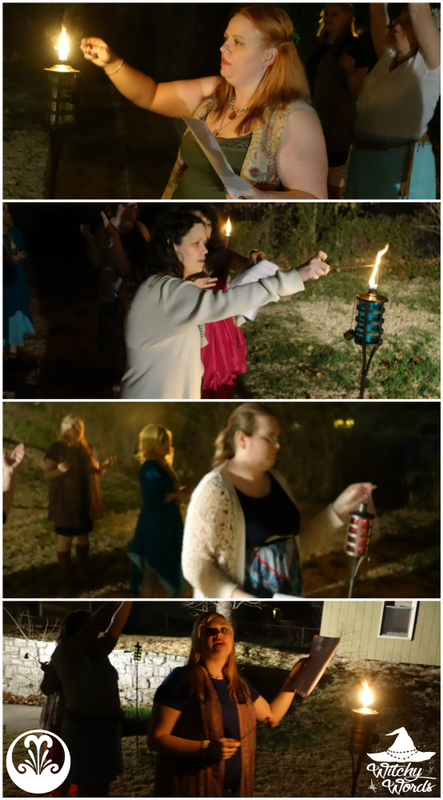 It was such an awesome ritual! The confetti eggs were my absolute favorite part. I couldn't resist them in the slightest. I'm STILL finding bits of confetti!